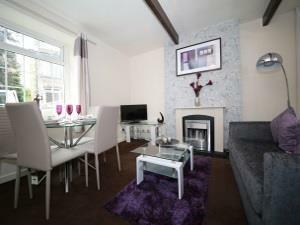 Haworth Homes07957 636755work Self-cateringHave this entire 1 Double Bedroom Mid Terraced Cottage all to yourself. Suitable for 2 sharing, along with additional sleeping facilities for 2 more people downstairs. Enjoy having your own shower and your own kitchen facilities with FREE WIFI available without having to share with others. You can stay here at peace without the worry of having to share with other people at all. Free on street parking outside the property available. Free on street parking, 5 minute walk to shops and 5 minute drive to Bronte Museum and Train station. Local café’s, diners and restaurants and not far from the property, so no need to worry about what or where you’ll eat. Relax in the beautiful countryside area and enjoy the wonderful fresh air. If you are looking for bars and clubs you can get a taxi into Keigley town centre which is a 10-15 drive away from here. Enjoy Haworth's scenic views and make this wonderful stay totally relaxing and memorable! The property is located on Haworth Rd, which has connections to main roads into Keighley town centre, and main road links into Halifax and Leeds. Leisure facilities can be found almost 20-30 mins away from Haworth. Minimum length of stay 1 night. Price per night £65 for a single person with additional guests £25 per person. Children welcome from age 2.